Elizabeth from Oh, Fransson! has posted a great tutorial using Moondance fabrics over at the Sew, Mama, Sew blog. 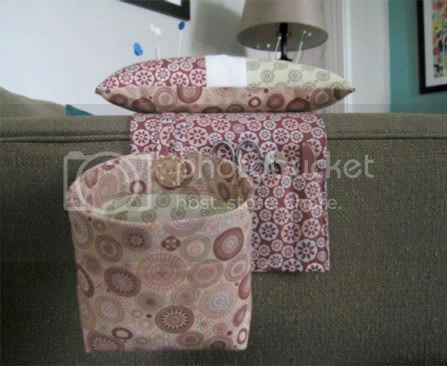 The tutorial is for a weighted pincushion organizer! How cute!! Quilt-along. I've been following his progress here. I can't wait to see the finished quilt!